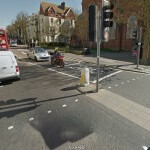 A flasher has targeted Brighton children on their way home from school again this week. 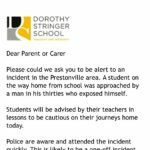 A letter to parents of Dorothy Stringer pupils said: “I am writing to inform you that once again a man has exposed himself to one of our students on the way home from school. “I realise that although there has been a spate of these incidents just recently, it is still uncommon. 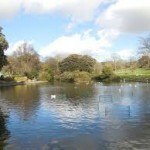 “This incident took place in Preston Park on the wide path parallel to the main road which is level with the rose garden. “Police are aware and attended the incident quickly. If students have any concerns they should contact the police or speak to someone in the school. Sussex Police said: “Police have received a number of reports of a man exposing himself to schoolchildren in the Preston Park area of Brighton on Tuesday (29 November) and Wednesday (30 November). “The first instance, involving a 12-year-old girl, was around 3.55pm on Tuesday on a path running parallel to the park. “On Wednesday, there were three calls within five minutes just after 4pm about a man in the area of the rose garden towards the velodrome and then Dyke Road Drive. “The man was thought to be the same man who had been reported for a similar offence in the area at the beginning of the month. “He is described as white, in his twenties or thirties, about 6ft, with greasy black hair and wearing a black or dark blue, hooded top and light grey tracksuit or jogger bottoms.